Saikat Kumar Basu did his double Masters in Botany with specialization in Microbiology from University of Calcutta, India and Agricultural Studies with specialization in Quantitative Genetics and Plant Breeding from the University of Lethbridge, Canada. Currently he is doing his doctoral studies with the University of Lethbridge on Biomolecular Sciences specializing on biotechnology and genetic engineering in cereals. He has published more than 30 peer-reviewed papers in both national and international journals of repute and participated in several regional and international conferences. 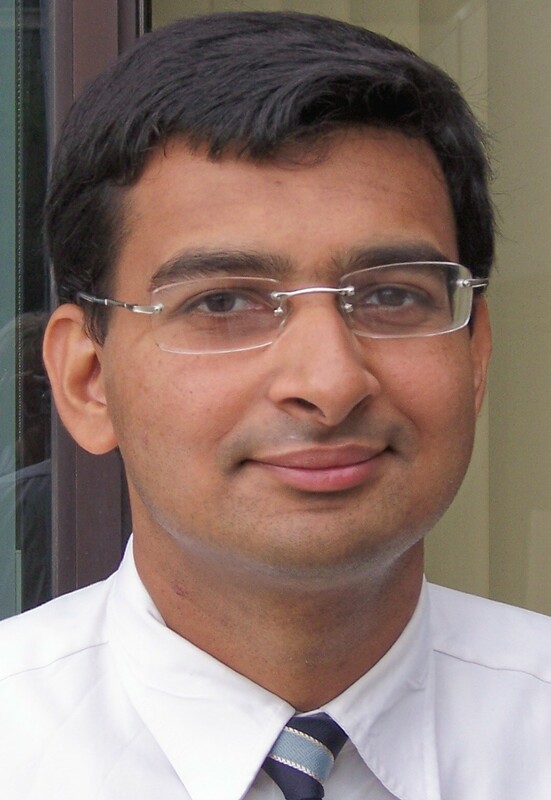 Saikat has authored and edited more than 17 books and is currently associated with several journals and editorial boards in North America, Asia, Africa an Australia. He has received several awards for his work including National Scholarship, Government of India, SGS Profiling Award, and Alberta Graduate Student Award for Outstanding Student Leadership (Alberta, Canada), Environmentalist of the Year 2009 Award, (National Environmental Science Academy, India) to name only a few. He has been elected as the Fellow of the prestigious International College of Nutrition (Canada) in 2009. Saikat is actively involved in a number of national and international organizations both in India and Canada. He has been active in promoting science in schools and among under graduate and graduate students, in environmental awareness campaigns and programs and in promoting multiculturalism. He has been associated with The Science Association of Bengal (SAB, India), Society for Multidisciplinary Research and Action (SMRA, India), National Environmental Science Academy (NESA, India) and the Indian Science Congress Association (ISCA, India) and the International College of Nutrition (ICN) as life member. He is the current Vice-President of the Southern Alberta Ethnic Association (SAEA, Lethbridge, Canada) working towards promoting multiculturalism in the society. He has also served as the Vice-President of the Graduate Students Association of the University of Lethbridge for the academic session 2006-07. He is one of the current external reviewers for AJFAND and is working as a Guest Editor for a special issue of the journal. Dr. Salimonu, Kabir Kayode holds Masters of Science (M.Sc.) and Doctor of Philosophy (PhD) Degrees in Agricultural Economics in 1999 and, 2007 respectively from University of Ibadan, Ibadan Nigeria. He had his First Degree in Agricultural Economics and Extension in 1997 from Ladoke Akintola University of Technology (LAUTECH), Ogbomoso, Nigeria where he is currently an academic staff. Dr. Salimonu, K.K. began his academic profession from Leventis Foundation Nigeria Agricultural School, Ilesa, Nigeria in year 2000 and later joined the university system in the year 2005. He has since taught courses in Microeconomics, Introduction to Macro Economics, Micro-Economic Theory, Production Economics, Farm Management and Accounting, Agricultural Policy and Development, Agricultural Statistics, Research Methods and Field Experimentation. Dr. Salimonu has supervised about thirty undergraduates’ projects. He has over fifteen publications in both local and foreign journals. His research interests are Risk management, Household Welfare, Poverty and Income inequality, Agricultural policy and Development. Dr. Salimonu is proficient in the use of Microsoft Excel, Word and PowerPoint, SPSS, STATA, LIMDEP and SAS among others. Dr. Salimonu peer-reviews for the African Journal of Food Agriculture Nutrition and Development (AJFAND) and Tropical and Subtropical Agroecosystems. He is currently working on – ‘Political Economy of Fertilizer Policy Implementation Process in Nigeria’ and ‘Social Capital and Rural Household Risk Management Strategies: Policy Implications for Agricultural and Rural Development in Nigeria’. Dr. Salimonu is currently the coordinator of undergraduates’ projects in his Department. He belongs to professional associations including Nigerian Association of Agricultural Economists (NAAE) and Nigerian Rural Sociological Association (NRSA). Dr. Salimonu is married with children.